The days pass so quickly that I find myself sometimes amazed that he is running and playing – remembering the diagnosis that could have taken his life before we could see his smile. The moments are quickly turning into memories as months and years continue to pull us forward. They take on a blurriness and the sharpness of sights and scents fade. The picture isn’t perfect, neither are our lives. Memories cannot be edited. But his glorious smile is etched in my mind and all else fades into the background. How quickly things can change. A chance encounter with an unruly child, a possible injury. A hospital visit for information that I both need and dread. Life is fragile and incredibly precious. I am not ashamed to say that I thank God for this big miracle in such a little boy. I love these little people; and it is not a slight thing when they, who are so fresh from God, love us. Please join Melody at Slurping Life for more Straight Out Of Camera shots. Please, please keep me updated. I am praying. Such a touching post! Brought tears to my eyes. I too am now worried. Hope all is okay. Much love to you and yours. I hope that everything is OK. That smile on Itty Bits face is priceless. He is beautiful! Prayers for you and your little boy, loved this post as you shared your heart. Take care my friend, God be with you. Itty Bit is beautiful [handsome, yes] but beautiful says it best. That Charles Dickens quote is one of my faves. Hope all is [will be] well. You guys are in my heart and prayers. I've never heard this Charles Dickens quote before, I just LOVE it! Your son is just beautiful, and you can tell by the way he looks at the camera in all of these photos that he clearly adores his mommy! I hope all is okay! And Holy Cow when did he get to be such a "Big Kid"?! He looks ginormongous and as adorable as ever!! Oh my goodness does that picture make him look old. Are you sure he's not 6 or 7?? They grow up too quickly, don't they?? I remember Buddy being a newborn like it was yesterday, yet, somehow he is 5 and a half already and teaching ME about the world. A beautiful picture. And that picture does make him look so much longer. 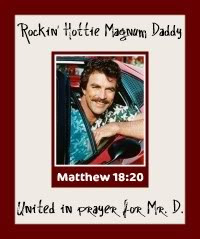 I am praying for your family. I hope that everything is OK. I love this photo of him!! It has such a soft, dreamy quality. And that smile lights up his whole face. Beautiful quote too, I'd never heard that one. Hope everything is okay! He is a beautiful child and your words were as beautiful. No way. he looks so big! I thought I was the only one who had a kid that looked 2 yrs older....lol. I do hope everything is ok. I am worried now too. Oh, I love it. My heart is sighing now as I think of my own little ones as they grow. Motherhood is such a many-splendored thing. Oh Rachel, I'm so worried... I hope to hear some good news soon. This is such a beautiful post. I hope everything is OK. You & Itty Bit are in my thoughts and my prayers. Please keep us all posted. memories cannot be edited ... i love that ! great photo !!! Something happened with that kid? I was hoping it was nothing. I will be praying for you guys. What a sweet and touching picture of your special guy. Good thoughts and prayers are headed your way. 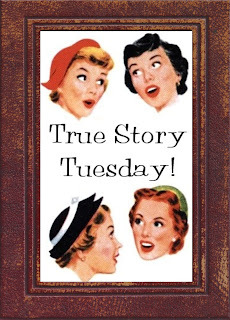 True Story Tuesday - No He Didn't! Battle of the Blogs - Round Two! Letters of Intent - Changing the World! Letters of Intent - who raised you like that?